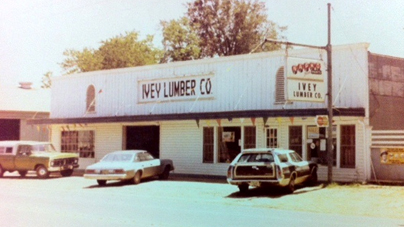 Mack and Roy Ivey founded Ivey Lumber Company in 1969 in an old sawmill in Logansport, LA. It was here where Mack who ran the business, began laying the groundwork for what would become a thriving enterprise. His business philosophy was based on honesty, creating relationships, going the extra mile, and doing it all with his relaxing, sometimes humorous manner. After several successful years in Logansport, a new location was built in Mansfield, LA in 1982. The Logansport location was sold as Mack and his family moved to the Mansfield area to continue growing the business. After several years of hard work, tragedy struck the family. 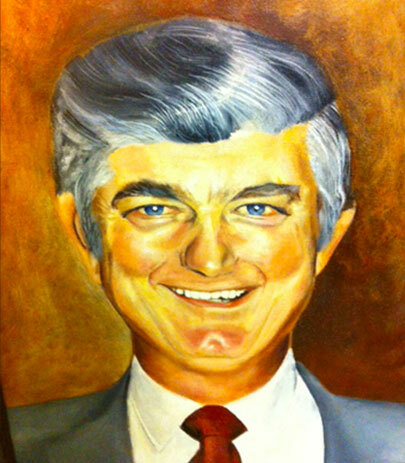 In 1988, Mack was diagnosed with cancer, passing away shortly thereafter. During this time the reins were passed quickly to a new generation, as they began to pick up the pieces and continue his dream. Fast-forward to today and you will find we have come along way since that old sawmill in Logansport. We have become a destination for shoppers in the Desoto Parish area with our unique mix of products, competitive pricing and service that is hard to come by. We also service contractors all over Northwest Louisiana with the same level of service you will find when you come inside our store. Adding to this momentum is our newest undertaking: Ivey’s in Haughton, LA. Forty years have taught us quite a few things, but most of all, that Mack was right all along. We are challenged everyday to continue with his vision, building relationships, going the extra mile, and to try and smile as much as possible. We carry all of the following: Lumber, Plumbing, Electrical, Paint, Home Décor, Hardware, Tools, Lawn and Garden, Builder’s Hardware, Roofing, Farm and Ranch, Apparel, and much, much more. With our partnership with Doit Best, we have access to over 70,000 items. Come by today, and we will do our best to treat you just like part of the family. Our Core Values are: Honesty and Integrity, Being Service Minded, Positive, Commitment to Excellence, Compassion For Others, Hardworking, and Family.